Hurricane Irma is lashing Cuba with strong winds and heavy rain after devastating several Caribbean islands. 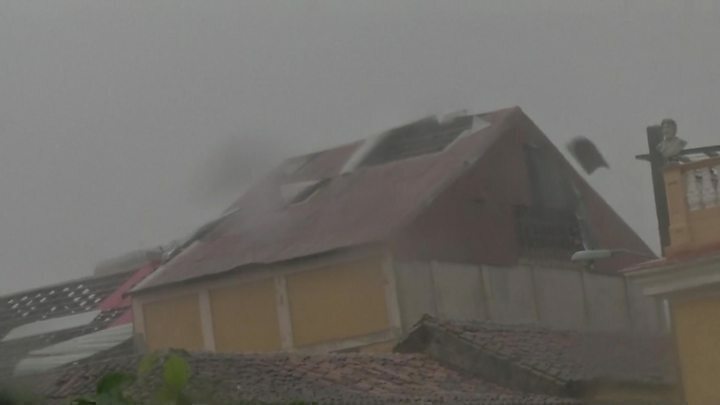 The hurricane made landfall on the Camaguey Archipelago, in Cuba's north-east, as a category five storm but has now weakened to a category three. The Bahamas have largely been spared. It was the first category five hurricane to hit Cuba in decades. It weakened to category three by Saturday lunchtime but is expected to strengthen again as it approaches Florida. 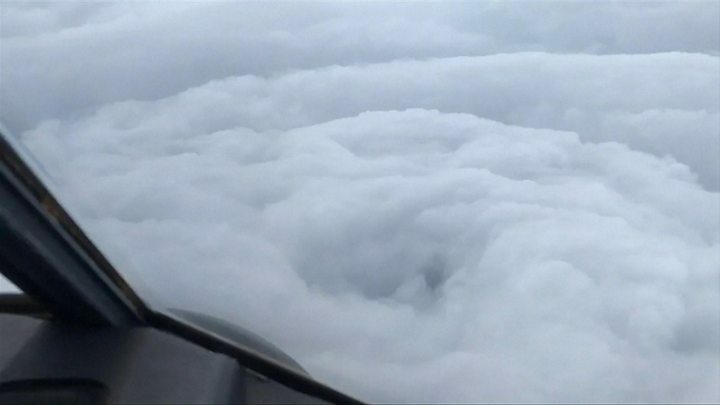 At 12:00 GMT, Irma had maximum sustained winds of 209km/h (130mph), the National Hurricane Center in the US said. It has brought vast amounts of rainfall to parts of Cuba, with extensive flooding reported in the fishing village of Caibarien. Power lines have been brought down in several parts of the central province of Camaguey, and communication is becoming increasingly difficult with towns in more remote areas, the BBC's Will Grant in Havana reports. Thousands of people have been evacuated but many others stayed to ride out the storm. Cuban officials reported "significant damage", without giving further details, but said there were no confirmed casualties yet, AFP news agency reported. Earlier, people tried to secure their roofs and move belongings from low-lying coastal areas to higher ground. "There are really strong gusts of wind. It is pouring off and on, and the lights are out," Anaida Gonzalez, a retired nurse in the Camaguey province, told Reuters. About 50,000 tourists are fleeing or have fled Cuba, with resorts on the north coast now empty, the news agency reports. Irma is expected to hit Florida on Sunday, but the outer bands are already affecting the south of the state and downtown Miami is being lashed by heavy rain. About 25,000 people are currently without electricity, energy provider Florida Power and Light reported. Florida Governor Rick Scott issued a stark warning to those in threatened areas on the west coast. "Look, it's getting late," he told NBC. "If you're not on the road on the west coast by noon [16:00 GMT], you need to get to a shelter, get to a friend's house if you're in an evacuation zone. Get off the road." He said that storm surges in coastal areas could be as high as 12ft (3.7m), adding that people "cannot survive this". Which other areas have already been hit? Are there more hurricanes to come? Another storm, Jose, further out in the Atlantic behind Irma, is now a category four hurricane, with winds of up to 240km/h (150mph). It is following a similar path to Irma and already hampering relief efforts in some of the worst affected areas. 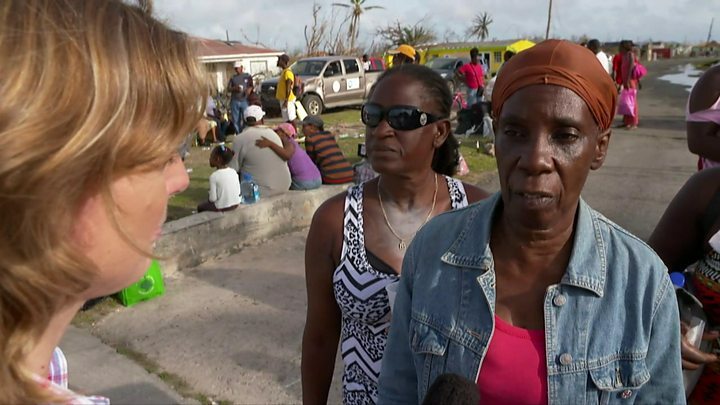 Residents of Barbuda, where 95% of buildings have been destroyed by Irma, have now left the island as Jose approaches. Hurricane Katia, in the Gulf of Mexico, a category one storm with winds of up to 75mph, made landfall on the Mexican Gulf coast in the state of Veracruz late on Friday. The storm is expected to weaken rapidly in the coming hours.